It is a rare gardener in this part of North Carolina that doesn’t plant hostas, and I am definitely not one of those rare ones. 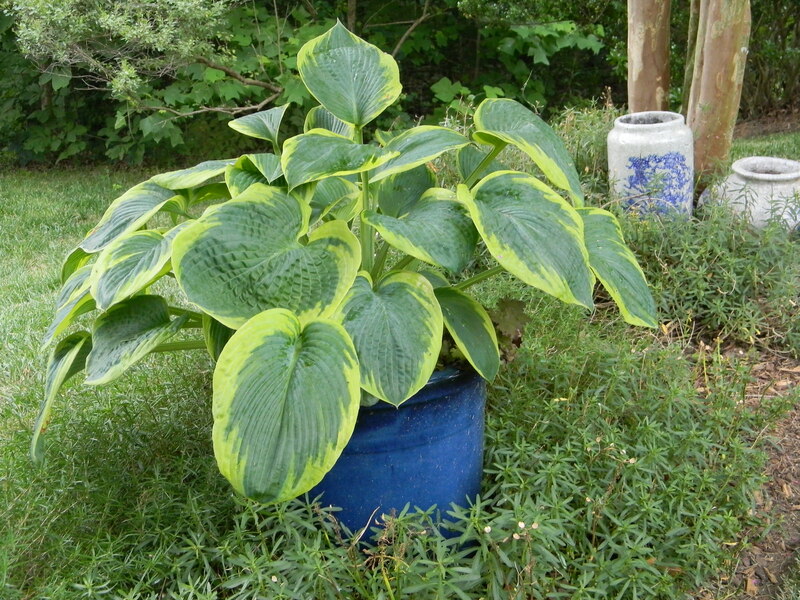 In fact, one might just call me a hosta junkie. 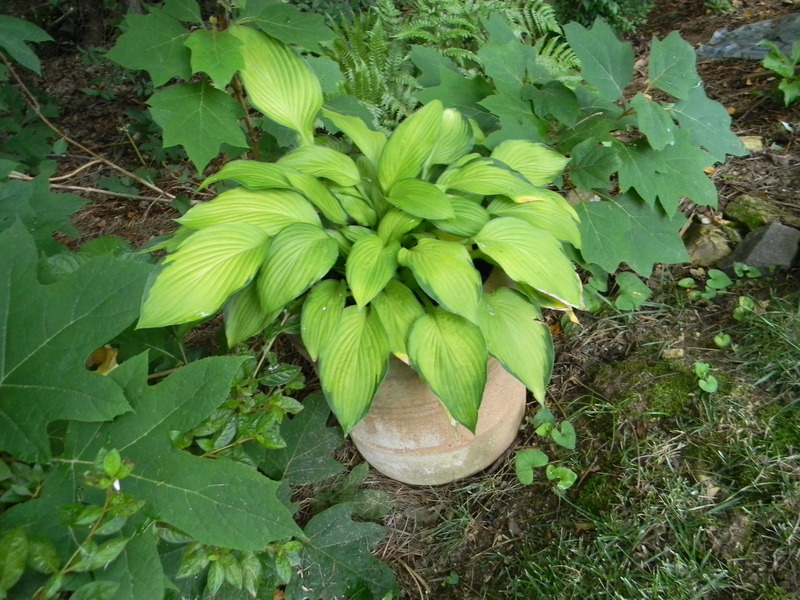 Witness the several dozen hostas that I have throughout my garden, with over a dozen cultivars. 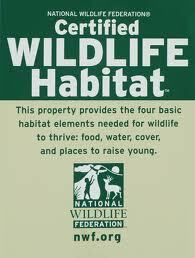 With so many different shades and leaf forms, they fill many roles. 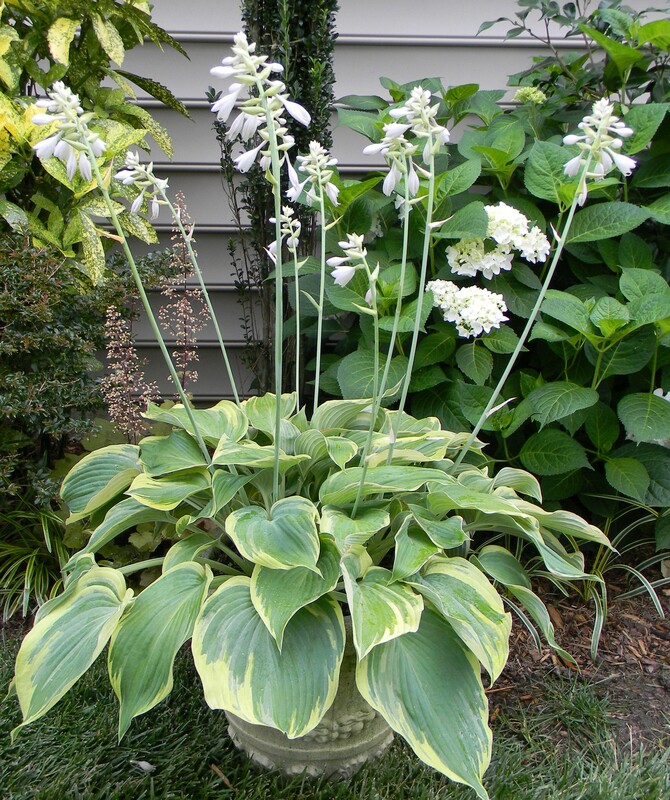 I have never been overly concerned about their flowering, although my friend Maryann Roper gave me several white flowering hostas (name unknown) that have a marvelous fragrance. 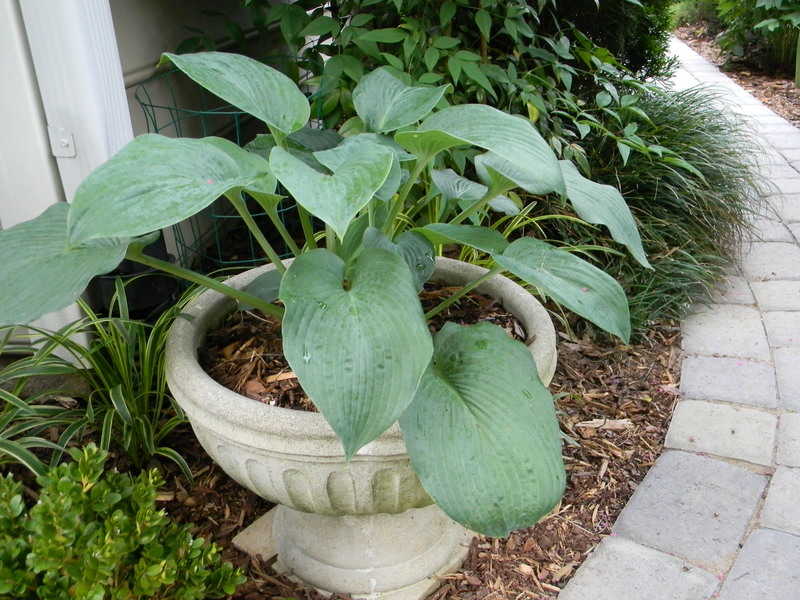 As with most hosta lovers, it is the foliage that grabs our attention. 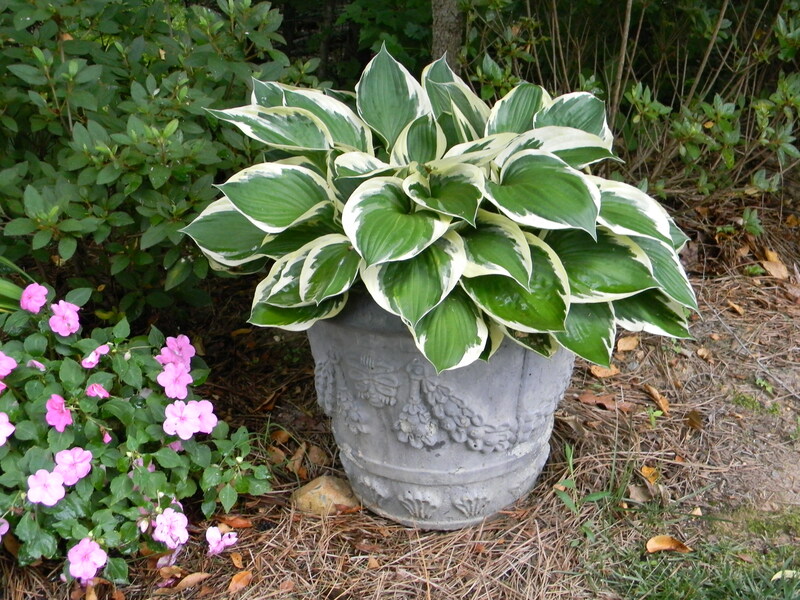 One of the ways I use hostas in my garden is to plant them in pots. That allows me to optimise soil and sun/shade conditions; all I really have to do is to remember to provide adequate water, very important in this current period of super high temperatures and minimum rainfall. 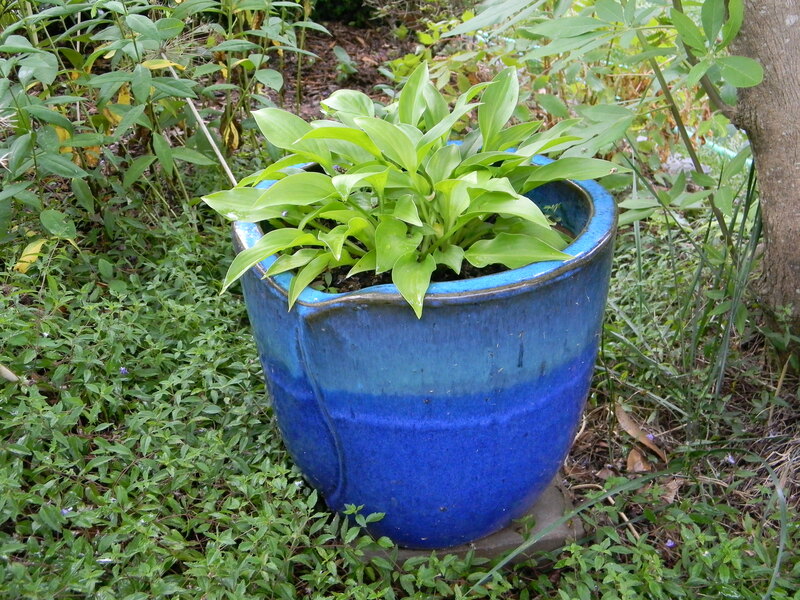 Several of my pots are hooked into my irrigation system which helps, but it can’t cover all of them. 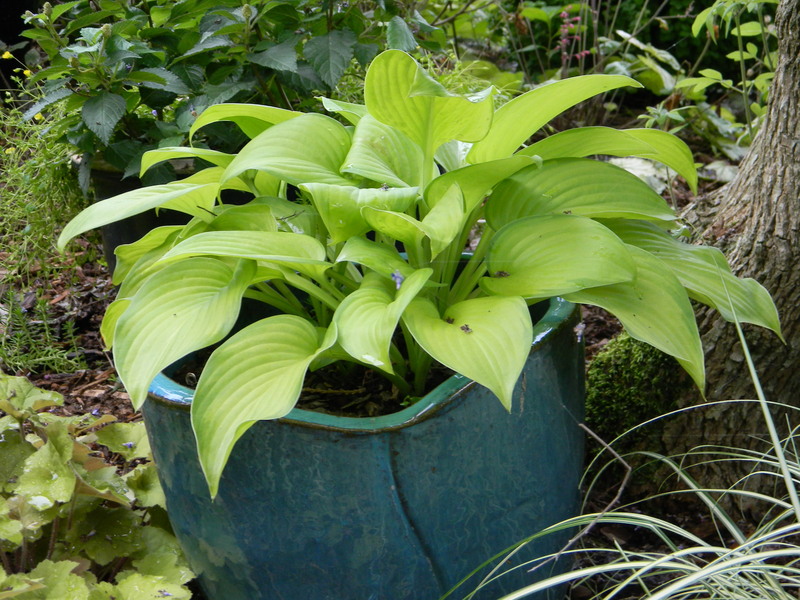 Hostas in pots are certainly protected from voles, are less likely to endure slug damage, but are still subject to deer browsing. I have not had problems with rabbits eating pot plants. In a similar effort, several heucheras have also found their way into pots which only adds to my gardening flexibility. 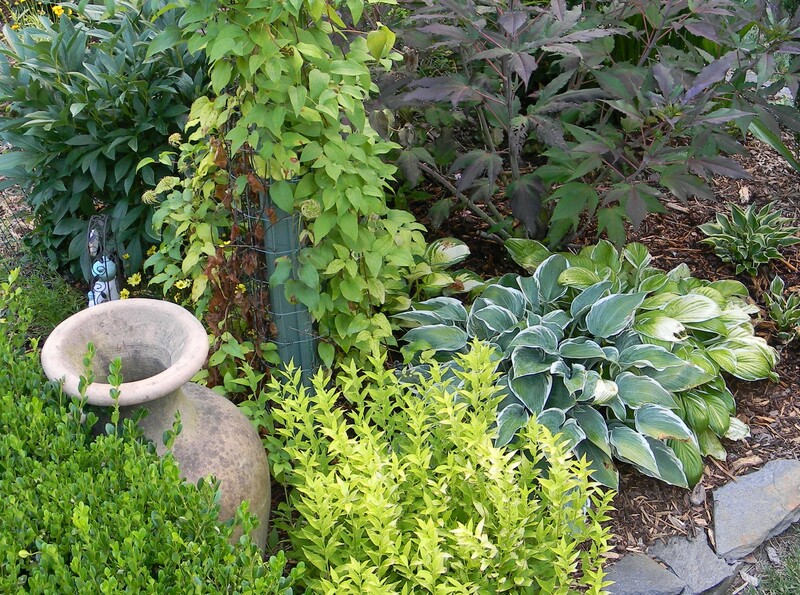 This entry was posted in Gardening and tagged deer, heuchera, hosta, hosta lovers, Maryann Roper, North Carolina, pots, rabbits, voles. Bookmark the permalink.